Right away, it’s evident that Vacheron wanted to make a refreshingly small collection. 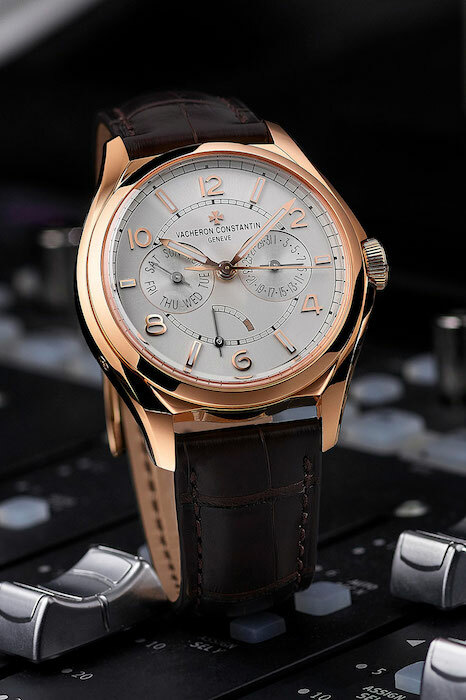 The world of fine watches can often suffer from an excess of choice; the FiftySix line — offering only three models — is Vacheron’s attempt to address that issue. When combined with a price point starting at roughly US$12,000, the new models become some of Vacheron’s most accessible to date. Available for the aforementioned affordable sum is the FiftySix Self-Winding in steel. This model represents the simplest offering in the new collection, exhibiting an open dial that is unpunctuated save for the date window (at the 3 o’clock position). The 40mm case would seem to indicate that Vacheron are positioning the Self-Winding as an everyday watch, and it’s likely to find an audience amongst new collectors wanting a superlative exemplar of a “daily wear”. Contemporary proportions aside, it manages to capture numerous references to Vacheron’s history, with the sector dial, markers and recessed crown all drawing parallels with the Ref. 6073 (from which the whole collection takes inspiration). The mechanical aspects, however, may prove trickier for purists to get behind. 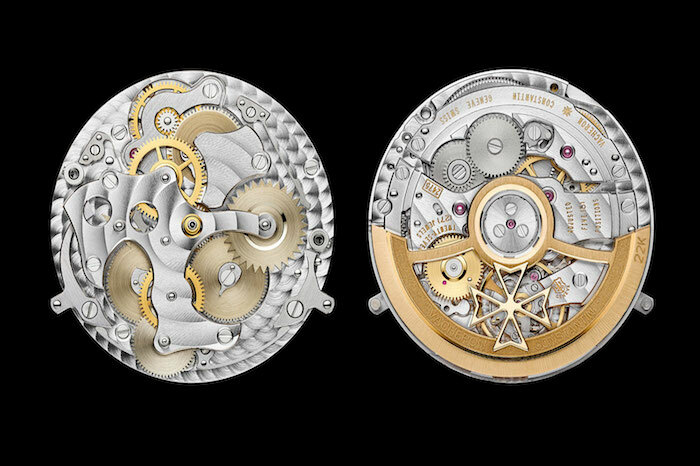 Undoubtedly buoyed by Richemont Group’s massive supply network, Vacheron have opted to power the Self-Winding with the calibre 1326. These are produced by manufacture Horlogère ValFleurier (another Richemont subsidiary) and then transferred to Vacheron for finishing and regulation. 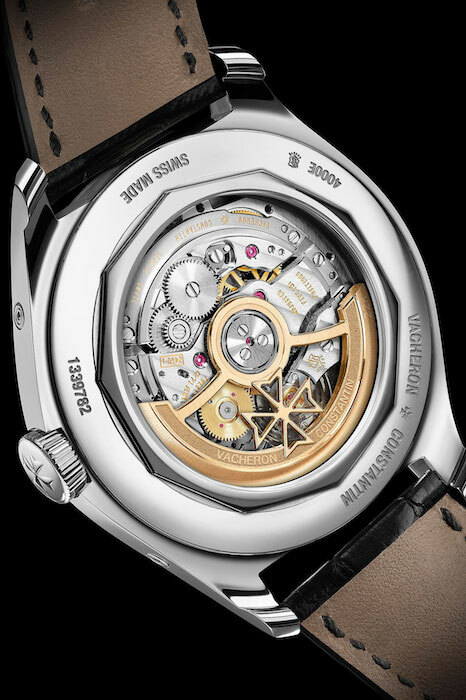 These ValFleurier-sourced movements aren’t mediocre by any stretch of the imagination — even incorporating solid-gold rotors — but their adoption is controversial in a wider historical context. (After all, Vacheron are renowned for making their own calibres at a standard high enough to obtain the coveted Geneva Seal). 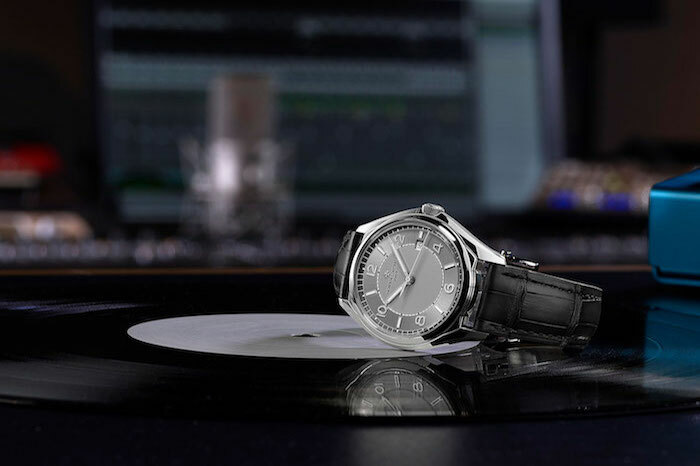 It’s fair to say that the brand are cognisant of these criticisms, which is why they’ve emphasised the “entry-level” nature of the Self-Winding. For novice collectors, the prospect of entry-level Vacheron (for under US$15,000 no less) might be a reasonable trade-off; for long-term customers, the consensus is less clear. A less contentious addition to the collection is the FiftySix Complete Calendar. 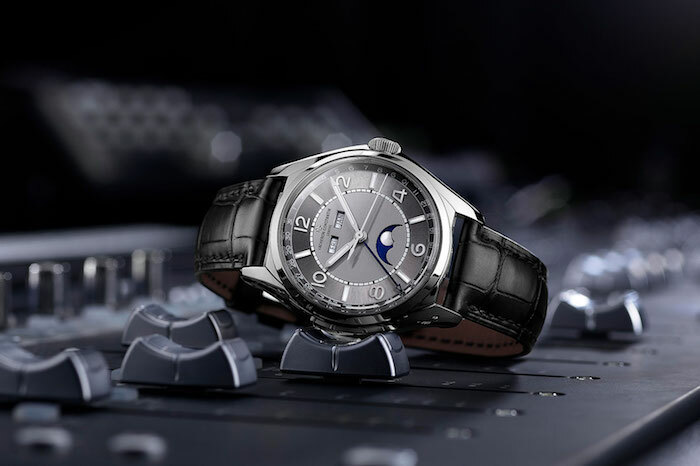 Complete calendars are experiencing something of a comeback as the market falls out of its unconditional love affair with perpetual calendar watches. Vacheron’s take incorporates a moonphase, day-month apertures and thoughtfully sized date track (located around the outer ring of the dial). The Complete Calendar’s calibre 2460QCL/1 is manufactured entirely in-house. 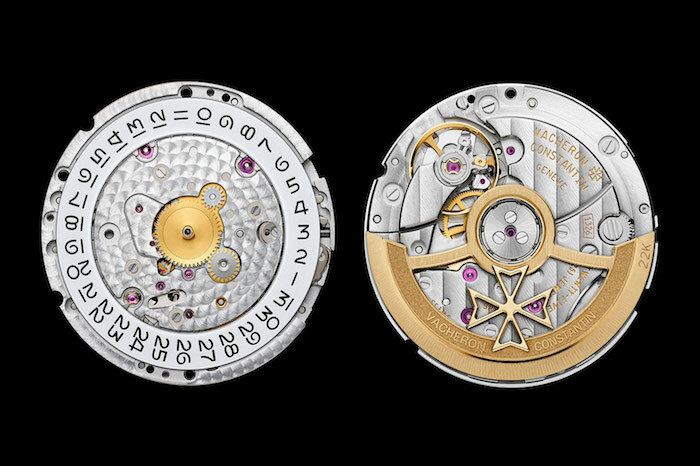 A beautifully finished movement (note the open-worked Maltese cross), it is also certified with the prestigious Geneva seal. More importantly, the Complete Calendar is likely to draw a collective sigh of relief from Vacheron diehards with its all new calibre 2460QCL/1. This in-house movement — Geneva Seal-certified — improves the precision of the Complete Calendar moonphase while providing a 40-hour power reserve. Naturally, the new movement also makes the Complete Calendar the most expensive model in the FiftySix collection — the steel model clocks in at US$21,600. The FiftySix DayDate champions an unusual dial architecture that — at a glance — resembles a two-register chronograph. The calibre 2475SC/2 powering the FiftySix Complete Calendar. From a thematic perspective, the strategy underpinning the FiftySix collection is an ambitious one: Get a new generation of customers hooked using a (relatively) accessible collection and, for good measure, lean heavily on Vacheron’s prestigious pedigree. However, it’s hard to know whether insiders will perceive the whole endeavour as intended. All watches in the FiftySix collection are available in either stainless steel and rose gold. Prices between US$12,488–$35,800. 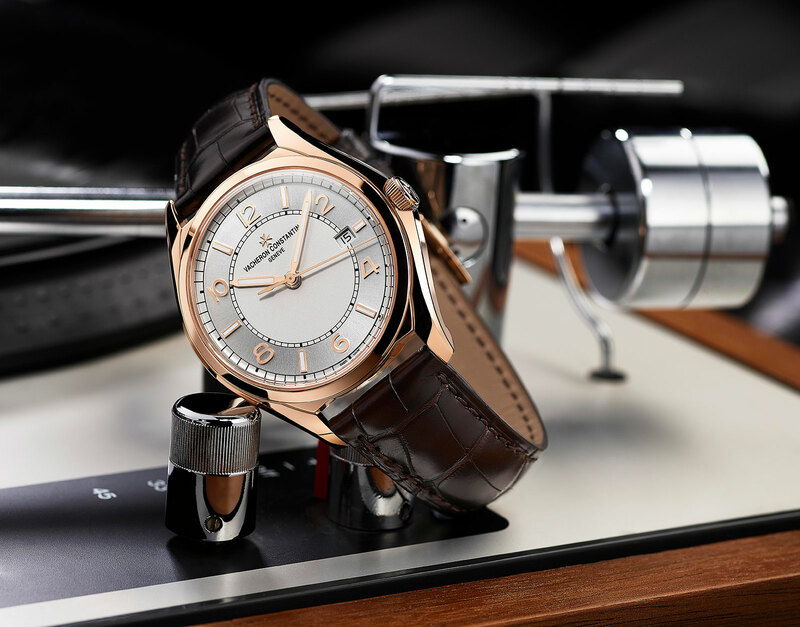 For more information, visit Vacheron Constantin.